There manifests itself in the fully developed being - MAN - a desire mysterious, inscrutable and irresistible: to imitate nature, to create, to work himself the wonders he perceives. Inspired to this task he searches, discovers and invents, designs and constructs, and covers with monuments of beauty, grandeur and awe, the star of his birth. He descends into the bowels of the globe to bring forth its hidden treasures and to unlock its immense imprisoned energies for his use. He invades the dark depths of the ocean and the azure regions of the sky. He peers in the innermost nooks and recesses of molecular structure and lays bare to his gaze worlds infinitely remote. He subdues and puts to his service the fierce, devastating spark of Prometheus, the titanic forces of the waterfall, the wind and the tide. He tames the thundering bolt of Jove and annihilates time and space. He makes the great Sun itself his obedient toiling slave. Such is his power and might that the heavens reverberate and the whole earth trembles by the mere sound of his voice. Can man control this grandest, most awe-inspiring of all processes in nature? Can he harness her inexhaustible energies to perform all their functions at his bidding? More still - cause them to operate simply by the force of his will? 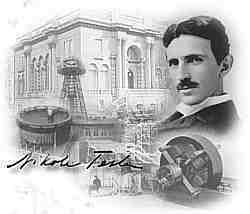 One hundred years ago, scientist/inventor/philosopher John Keely built various devices that were able to overcome gravity, tunnel through rock using a hand-held device, use acoustics to power engines, and create superconductivity by employing wires made of gold, silver and platinum. Almost lost, this book finally compiles ten years of research by the editor/author that explains the technology used. Understandable to the layman and useful to the most advanced researcher. The physics of sympathetic vibrations is the unification of many different scientific, engineering and philosophical disciplines into a new paradigm. 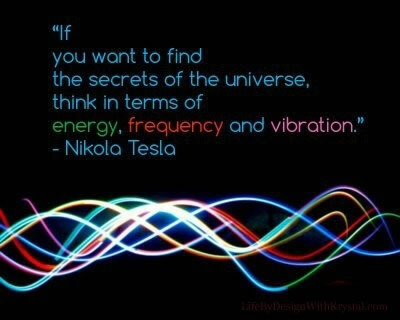 This science demonstrates the commonality that underlies all phenomena-vibration!